I’ve been talking a lot about gifts that give back on the blog lately. It’s the giving season after all. One of the classic examples of a gift that gives back is Heifer International’s catalog where you can buy things like goats and (you guessed it) heifers. You know the catalog I’m talking about, right? It’s The Most Important Gift Catalog in the World. Heifer International is a nonprofit community development organization dedicated to helping end hunger and poverty while working to protect the environment and care for the Earth. Since 1944, Heifer has provided livestock and environmentally sound agricultural training to improve the lives of those who struggle daily for reliable sources of food and income. Gifts through Heifer International go to families around the world living with hunger and poverty so that smallholder farmer families can feed themselves and their communities, women who never had a voice before find one and become leaders in their communities and children can go to school and realize their dreams. I recently had the opportunity to interview Heifer’s Vice President of Marketing, Christy Moore, by email. I thought it would be fun to ask more about Heifer’s alternative gift giving catalog, the impact it has had and her own thoughts on giving. Following are my questions and her answers. 1. Tell me more about alternative gift giving and how/why Heifer International started their Gift Catalog. 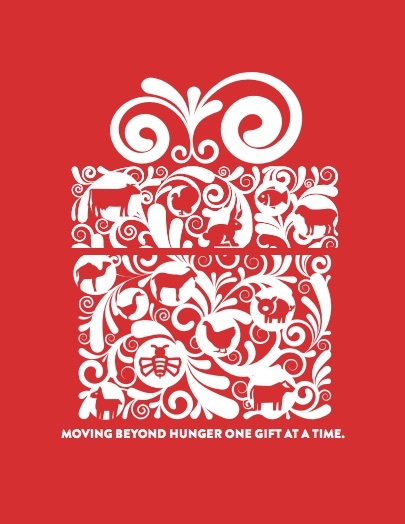 The original idea of alternative gift giving was developed in the 1970’s by a Heifer International volunteer. This idea developed into The Most Important Gift Catalog in the World, which was first mailed in 1990. The catalog was developed as a way to engage donors and their families. Through the catalog families can shop for meaningful gifts to give in honor of loved ones while also learning about the importance and impact the gift of animals and training has on small-scale farmers around the world. 2. What is the most popular item in the catalog? We have several popular items including goats, heifers and chicks. 3. Can you give me a story or two about the impact these gifts have had on the recipients or the givers themselves? When I think about our small-scale farmers, Lovisa Wamukota from Eastern Uganda always comes to mind. She is a 72 year old grandmother who is caring for 12 of her young grandchildren, all orphaned by HIV/AIDS. Her story is one of courage, hard work and big dreams. Although her family struggled to find enough food, she was determined to send her grandchildren to school. After receiving a goat from Heifer International, and with a lot of hard work, Lovisa has been able to send four children to secondary school and five more to primary school. Lovisa’s story always moves me. Through her hard work and determination she is providing a better life for her grandchildren. She truly represents the spirit of women’s empowerment. SHE is empowering others and providing a brighter future for those she cherishes most. 4. How can everyday citizens give year round? We believe that only through working together as a global community can we end hunger and poverty – I believe that we can all make a difference whether it involves donating your time, resources or making a financial contribution. It is important for everyone to make a commitment to make the world a better place. 5. What does giving mean to you? Giving means that you find something you are passionate about and you do whatever it takes to make a difference. You lend your voice to the cause, you support financially, you donate your time and you recruit as many people as you can to help support the cause. Giving is something you do because you believe it will make a difference, not only to the cause you are giving to, but also to yourself. 6. What should my readers know about Heifer that they might not already know? The core of Heifer’s model is Passing on the Gift. 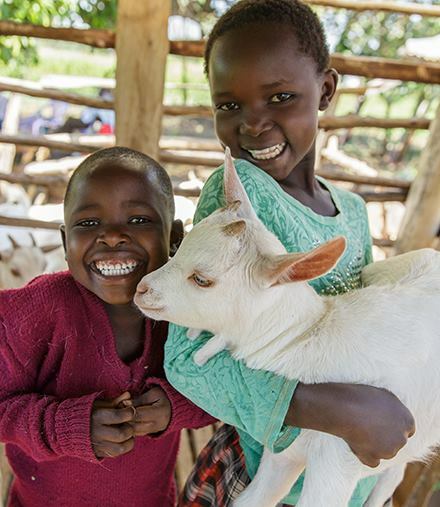 Every person who receives a gift from Heifer becomes a donor. Imagine the power in that. I have personally witnessed many Passing on the Gift ceremonies and I always feel overwhelmed and so thankful to be a part of something so magical. The pride and dignity that each person receives by giving is something that can never be taken away. Have you ever purchased livestock from Heifer International’s gift catalog? I love that they not only provide resources, but teach how to utilize the resources. The lack of farming knowledge has really impacted humans. But if you think about it, that’s what we’re meant to do… grow and raise our crops and provide the most nutrient-packed foods for our bodies to be at optimum health. I love this organization and what they stand for! I LOVE HEifer International! My sister gets us a goat or a cow or something every year, and I’m going to start doing the same. I agree, it’s such an amazing way to give a gift – especially to someone who really doesn’t need any more STUFF – and help others in the process. So glad you featured them! OH gosh Jennifer, I haven’t heard of this amazing way to give!! I am going to talk to Derek about doing this… just such a beautiful way to make a difference and provide exactly what so many need!! Holy cow.. literally. What a beautiful idea/catalog. I’m definitely going to read up more right now. Tamara recently posted..The Most Memorable Photo Shoot I’ve Ever Had. Haha, what a cute ad! After our trip to South America I got Sam for his birthday a present an alpaca farm, which had so much meaning after seeing so many alpacas roaming around. Thanks for sharing, Jen!